Orderhive has extensive shipping capabilities. It is connected with leading carriers like USPS, UPS, DHL, FedEx, etc. By default, Orderhive offers a free USPS account for all United States accounts through which you can check and compare rates, generate/print/download labels, and track orders. We provide discounted USPS rates which will allow you to cut down on shipping costs. If you already have an account with any of the carriers Orderhive is integrated with, then you can add the same to centralize your shipping operations. Note: Any Shipping carriers except ShipStation is not considered as a channel. The wallet is used to recharge for USPS Shipping labels or insurance of the shipments. You need to recharge your wallet by attaching a card. The amount in the wallet is deducted as soon as you buy USPS label or insurance. Refer to Wallet Settings for further details. 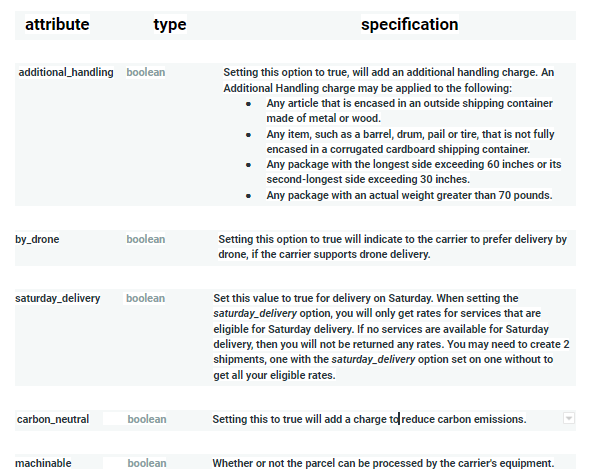 Also, before starting to create shipments in Orderhive, we recommend you to set up Shipping settings. Now, let's get started with how to ship an order. Integrate your shipping carrier account by filling out the details on the respective channel page. Select the order you want to ship. Firstly, Approve/Confirm the order. Confirming your order before shipment is crucial to avoid customer cancellations and maintain a streamlined workflow. Once the order is Approved, select the order and click on Ship. You can also double-click the order which opens the Order Detail Page and click on Ship. You need to select the Carrier if you’re shipping the order via a carrier-integrated in Orderhive. Based on all the details selected, the list of Services is fetched from the carrier end along with the Shipping Rates. Click on Add more packages. Select and add appropriate details for Package 2 like the type of Packaging, Weight and Insured Value. Based on these details the rates fetched from the carrier end will change and will show a total of Package 1 and Package 2. Shipments can have a variety of additional options which you can specify when creating a shipment. The endorsements consist of one keyword: Address, Return, Change, or Forwarding, followed by the two words Service Requested. The endorsements are the same for all classes of mail, but the treatment and cost differ by class of mail. Use of an ancillary service endorsement on a mailpiece obligates the mailer to pay any applicable charges for forwarding, return, and separate address notification charges. This option allows you to request restrictive rates from USPS. It can be set to USPS.MEDIAMAIL or USPS.LIBRARYMAIL. Hazardous Material is commonly referred to as HAZMAT or Dangerous Goods by industry and the U.S. Government. Possible values are ORMD and LIMITED_QUANTITY. Applies to USPS, FedEx and DHL eCommerce. The Incoterms or International Commercial Terms are a series of pre-defined commercial terms published by the International Chamber of Commerce (ICC) relating to international commercial law. Incoterms is a registered trademark of the ICC. There are currently 11 incoterms in use. Their commonality in trading contracts makes it important for you to understand what they mean and the responsibilities of the various involved parties. You can put the Invoice Number if applicable and any other instructions or notes that you want to mention to handle the Shipment. You can then see the information about how many days is it going to take for the delivery of the parcel i.e Delivery Estimate and Total Shipping Cost. Shipping Cost is the total of Rates fetched from shipment carrier + Insured value. Select the desired Courier from the drop-down. Choose the Ship Date as required. You can add the Shipping Cost also if any. It helps you to directly deliver the shipment and mark the order as completed. Usually, in cases like Shipment handover manually to the concerned person, this option comes into use.